The British track team started their pre-Olympic winter track campaign in fine fashion tonight, taking three gold medals with three dominant performances at the European championships. 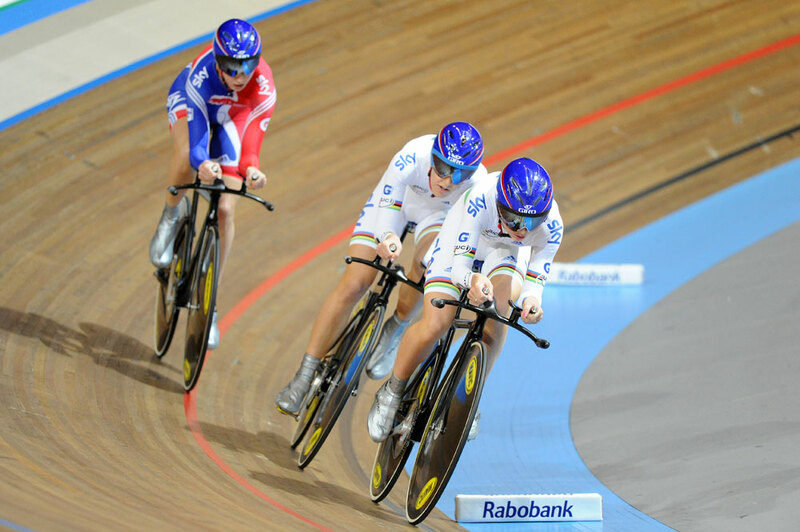 Both the men’s and women’s team pursuit squads won their events with apparent ease, and encouragingly posted fast times on what is a notoriously slow track in Apeldoorn, the Netherlands. 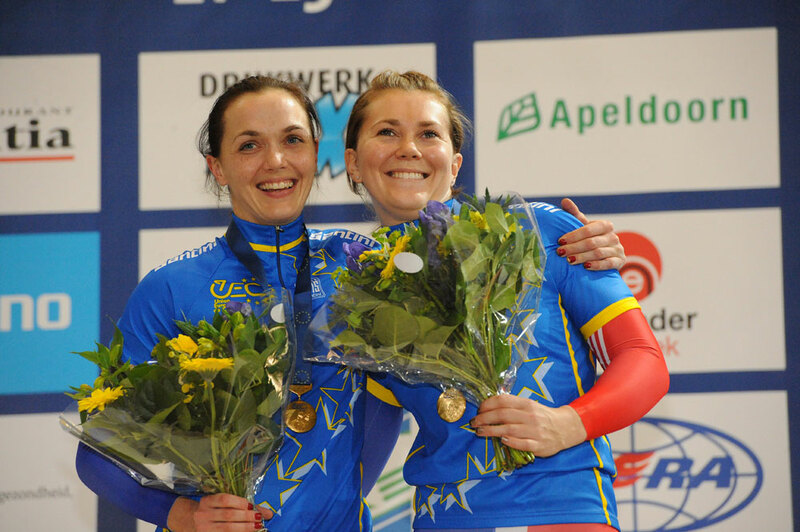 Victoria Pendleton and an ever improving Jess Varnish rounded off the tally with a win in the women’s team sprint. Joanna Rowsell, Dani King and Laura Trott almost caught the German team on their way to a 3-22.618 minute ride; almost a second faster than they went (albeit with Houvenaghel instead of Rowsell) at the world championships here in March. That ride came after a farcical five minutes when the start gate holding up the German rider failed to release her on two occasions. The British riders got away cleanly each time, but the hold-up meant that it was almost 20 minutes between the end of their warm up and the beginning of the race. Trott admitted to being so cold before the start that she was actually shivering. There were no such problems for the British men as officials at the Omnisport arena decided to ditch the starting gates (that had also failed for the Polish women’s team sprint ride earlier in the day) and hand hold all four riders at the start. Even then it probably wouldn’t have affected the Brits. No matter the make up of the GB team you can almost guarantee they will be drilled to perfection. After little more than two weeks of track training the foursome rode an excellent race to stop the clock just outside four minutes. On the other side of the track the Danish looked anything but drilled. Their fourth man spent the first lap trying to get on the wheel in front and they lost another rider before halfway. Their fast start came back to bite them as they slumped to a 4-06 minute ride. Between those two sets of riders receiving their medals (and hearing the worst rendition of the British national anthem we’ve heard) Pendleton and Varnish brought home Britain’s third gold. Their time of 33.276 was half a second clear of the Ukraine – an chasm in this event – and crucially only four hundredths of a second slower than the time the Australian team set here in March.